I was cleaning the shower the other day. This is something I do regularly. Once a year is regular, right? Just kidding – I clean it a lot more often than that. While sloshing water around and scrubbing the tiles it occurred to me that cleaning the shower is in many ways like marketing your home based business. Your business is like your house – you care for it, nurture it, and of course you clean it! 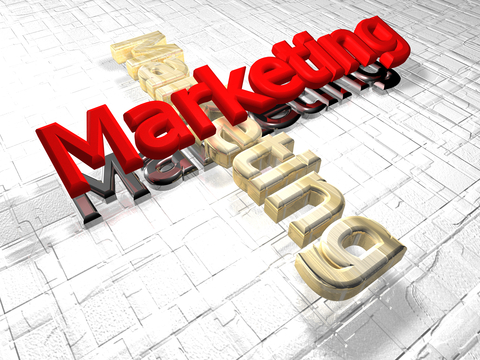 Here are some simple marketing strategies you can use for your home based business. 1. Firstly, it needs to be done regularly. I once lived in a house where we thought the bottom half of the shower door and side was frosted glass, and that round bit on the floor was anti-slip coating. About a week or so after moving in, I cleaned it. Yes, it was ordinary clear glass underneath and plain tiled floor. Yuck. If you clean your shower regularly, it’s easy. If you market your business regularly, it’s easy. Consistency in small efforts is a lot easier and yields much greater rewards than neglecting it and having to put in hours of backbreaking, gut-wrenching work. It’s much easier to keep up than to catch up. 2. If it’s done wrong you could end up with a greater mess. Sloshing buckets of water around may be great fun, watching it splash, however it has a tendency to, well, splash. And go everywhere, generally all over the bathroom walls and floor – outside of the shower. Or it just rinses the walls and floor and doesn’t actually clean anything. You can spend as much money and time as you have on marketing, but if it’s not directed to the right people, if it’s not solving a problem for them, if it’s not compelling them to buy, then it’s a waste of time and money. Know why you’re using a particular marketing tactic, do it right, be focused and see the benefits. Make sure you’re marketing to a niche and not a demographic. 3. Use the right tools and know why you’re using them. You wouldn’t go to clean the shower with the vacuum cleaner, would you? Or with a leaf rake? Of course not, they’re tools for other tasks. You go into the shower with some kind of cleaner, cloths to wipe, some way to rinse off the walls, bleach to clean the tiles if needed, maybe a squeegee. You know precisely what you’re doing (cleaning the shower) and the appropriate tools that you need to do that. This is where you need to know your target market intimately and thoroughly, inside and out. Why do they buy? Where and how do they buy? What solution does your product provide? How do you market specifically and directly to these people? What medium do they use (online, magazines, forums) to find out about products and ask questions? There’s no point putting an advertisement in the financial times newspaper if your target market loves parenting forums. Don’t put money into any form of marketing just because someone says you should. Know how it relates to your market and what result you expect from it. 4. It takes work and planning. You clean the walls before the floor. Put bleach on the tiles (my apologies to the environmentalists here) and let it start working before you begin to scrub. And no matter what product you put on the glass and tiles, it still needs some elbow grease to be spotlessly clean. With cleaning, as with marketing, you need to plan the best order to do things. You can’t sell a product and then tell the customer why they need it. The customer needs to be educated about what it does and why they want it. You, the business owner, need to make this happen. Customers don’t come up and say, “I want to buy this widget, what does it do?”. Nuh uh. Customers see your marketing, which tells them how your widget solves their problem and world peace at the same time. And then they come to buy. 5. And lastly you need to be committed. If you just give the shower a quick swipe over with a dry cloth once a month then you might think you can call it ‘cleaning the shower’. But is it really? If you put an ad in the cheapest magazine once a month, is it the ads fault that no one buys? 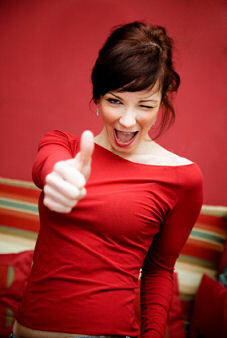 I have a friend who often tells me that she wishes she could have a profitable online business. And then goes on to tell me how she’s not interested in writing blog posts, or going on forums, or spending money on upgrading her website. She’s not committed to the process or the work required. If your business isn’t profitable, or not as profitable as you’d like, check your own commitment and activity levels first. What do you think? Are you using the right tools in the right way to clean your shower as efficiently and effectively as possible? ← Managing Work Time Around Kids – Myth or Reality? Features or Benefits – Which One are You Selling? @ Alex, Woot! I got an analogy right! LOL, I have trouble with analogies… And yes, definately outsource your marketing if you want to, just make sure you know exactly what you’re getting for your money and how they’re planning to market Someday Syndrome. I loathe cleaning the shower, but slightly less than I loathe marketing myself. Both need to be done if I don’t wish to live in filth. Writer Dad’s last blog post..Does your blog need a makeover? @ Writer Dad, maybe I should have extended the analogy to housework in general – something we have to do even when we don’t feel like it! Great points, Melinda, and not just about marketing. In every business there will be tasks you might not like to do, just like there are tasks at home you don’t like to do. I don’t understand people like your friend who want the benefits but don’t wish to put in the effort. Perhaps these people are victims of all the “I Made $64,352.36 in Three Days and You Can, Too” programs out there? Your description of the ‘before’ shower has me twitching for the bleach! Good analogy, but I really need to get some actual cleaning done. I don’t think that my friend is a victim of the “I Made $64,352.36 in Three Days and You Can, Too”, I think it’s more that she’s expecting that because she has a website then people are going to find the site and hire her. That might have worked back in the days when the internet was new, but not now. Plus she seems disillusioned because she didn’t see instant results, so now she’s less interested in putting in the effort. @ Janice, when I realised that it was actually dirt on the shower, I wanted to bathe in bleach. Really, it was disgusting.